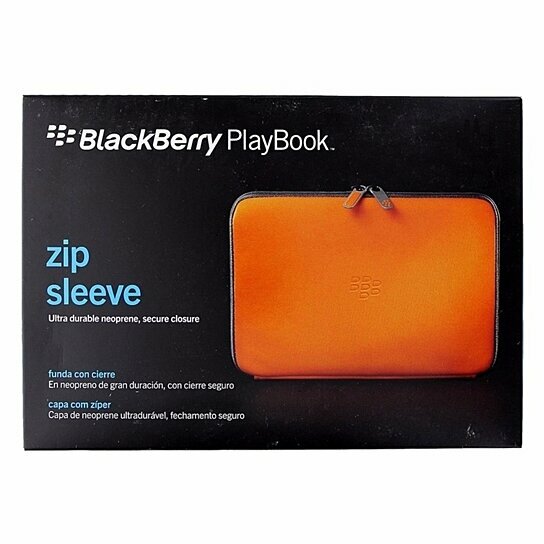 Take your BlackBerry PlayBook safely wherever you go with the BlackBerry PlayBook Zip Sleeve. This zip sleeve provides you with a precision fit, streamlined, durable and beautiful case. The two orange zippers secure your tablet. The exterior is made from soft and durable neoprene, while the memory foam padding inside makes sure your BlackBerry PlayBook tablet is safely guarded. The zip sleeve case can be used with the BlackBerry Soft Shells or BlackBerry Silicone Skins.